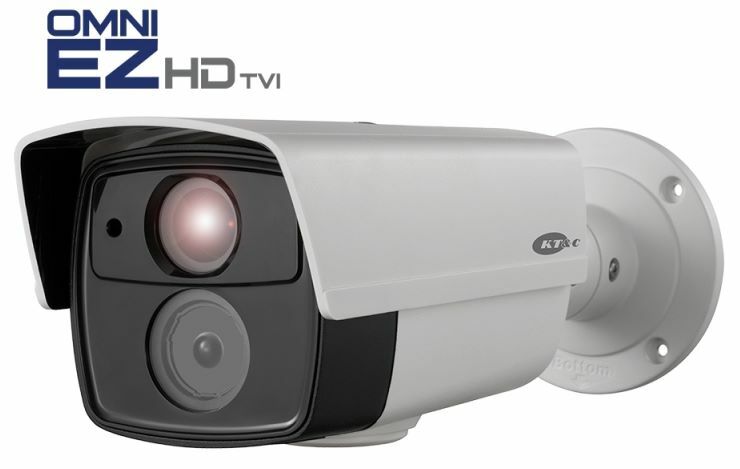 HD-TVI 1080p resolution, 2.8~12mm varifocal lens and 164 feet of night vision make the KEZ-c2BR28V12XIR a versatile security camera for most any application. The camera provides clear sharp color images during the day then switches to black and white at night or low light environments. With the Super Beam infrared LED you can see objects in complete darkness and the Smart IR feature will automatically adjust to prevent over exposure. The EZ-HD camera is also equipped with true wide dynamic range to provide more even exposure in areas with unbalanced lighting. The OSD menu also allows for digital noise adjustments, highlight compensation and picture and color adjustments to name a few. The camera is also housed in an IP66 weatherproof enclosure with an operating range of -4°F~140°F perfect for any indoor or outdoor application. The 3-axis mounting bracket also makes installing on ceilings or walls easy and convenient. Comes with a 2 year warranty. - Up to 500’ on one pair from a Cat5e cable (using video balun pair).